Good morning Bakersfield. It is Saturday, July 21st and a great day to be a Renegade. Have you had your trees trimmed? This was my first…a beautiful Magnolia in the front yard right next to a Brazilian Pepper tree. I have always loved the Magnolia tree as well as the flower. Actually, who does not….. It is like riding a train. Everyone likes a train ride. The tree is magnificent and regal in shades of dark green that rises tall, dense, and vibrant. The flower, which blooms once a year usually between February and June is just breathtakingly beautiful – the fragrance rich and intoxicating. In art, specifically Chinese art, the magnolia is used as a symbol of feminine sweetness and beauty. In China, magnolia flowers are symbols of purity and nobility. In Japan, the magnolia is used as a medicinal and ornamental plant. The flower is called Hanakotoba in the Japanese system of flower symbolism. This means that the flower is sublime, natural and shows love for nature. Magnolias are associated with the life force and are often presented at births. The final product. Trees trimmed. Michael, you did an outstanding job! The Brazilian Pepper tree had developed a strange shape under the constraints of its competition with the magnolia and quest to seek the sun. I am still making up my mind if I like this naturally formed “bonsai” of the pepper tree. On Wednesday, July 12th, Coach Rich Hughes and Aaron Chavez stopped by to see me late in the afternoon after their class. The reason they stopped by was to present me with a Championship t-shirt and pendent. Wow! The pendent is such a valuable item and there were few made so I was surprised that Coach Hughes decided to present one to me. Wow! So honored! Check out the shirt that Aaron and I are holding and check out the pendant in the palm of my right hand. Renegade Basketball was incredible last season. The coaches worked hard and the students worked hard. You could see it at every game. The passion, the focus, the talent, and everyone working as a team. Last weekend I watched the Men’s Singles Finals of The Championships, Wimbledon, the world’s oldest tennis tournament and the only of the four Grand Slam major tournaments to still be played on grass. More than any other Grand Slam, Wimbledon strives to retain a lot of the pomp and circumstance that defined the tournament’s founding in 1877 at the height of the Victorian era, lending it an air of grandiosity similar to the Kentucky Derby in the United States. The best part of watching the match was having a new addition to the family. Since he fetches tennis balls in the backyard, the back and forth of the Wimbledon tennis ball on the TV screen held his attention. At age 36, tennis legend Roger Federer won a record-breaking eighth consecutive Wimbledon singles title against Croatian Marin Cilic. Federer, a Swiss-born player considered one of the greatest in history, is now the oldest person to ever win the tournament in the Open Era and the first since Bjorn Borg in 1976 to survive all seven rounds against world-class competition without dropping a single set. In August 2012, Bakersfield College was awarded a grant from the National Science Foundation (NSF) to provide scholarships of $3,000 per year to Science Technology Engineering and Math (STEM) students. This grant was called the STEM A-PLUS (Action + Persistence + Leadership + Understanding = Success) Scholars grant. The scholarships were dedicated towards helping academically talented students who demonstrated a financial need complete their STEM degrees and transfer to Baccalaureate programs by July 2017. The College has met and exceeded the goal with students completing and transferring with an average GPA of 3.45. Students from this program have transferred to CSUB and many University of California schools, to Cal Poly campuses, and to other prestigious universities such as Harvard University. Kudos to our STEM faculty and staff! Over this next year, BC will be applying for another 5-year NSF grant to continue this good work, giving students the financial means to attend college while also contributing to the improvement of all students learning in STEM courses. I want to be very, very clear that this is entirely Wayne’s fault (and those he gathered around him on this project). I make no claims for the results generated, other than having encouraged further coffee consumption and providing an occasional ear for his version of ranting (which was like listening to large flakes of snow falling onto an already thick layer on the ground at 4 in the morning). Wayne is a rare gem. Last weekend, the Latina Leaders of Kern County celebrated the 18th Annual Latinas Leading the Way Awards and Board Installation where three women in our community were honored as award recipients for making their mark in our community. The mission of the Latina Leaders of Kern County is “to foster leadership, to identify and develop opportunities for Latinas, and to influence key issues affecting our community.” The goal is beautifully stated – building a stronger community, one leader at a time. Congratulations to three incredible women who are making a better Bakersfield – Raquel Pina, Chief of Family Medicine at Kaiser Permanente Hospital; Gabriela Murgia, local business owner; and Xochitl Garcia, local attorney. To see the biographies for each of these women, please visit the Latinas Leading the Way webpage. 23ABC News featured a great article, “Three local Latinas will be honored this Saturday at Latinas Leading the Way Awards.” On the video clip, I loved Xochitl’s quote “Never let someone’s no, be your no… and surround yourself with people who encourage you and believe in your dreams even when you may not. Outgoing Latina Leaders President, Norma Rojas-Mora continues to be an inspiration to all. She is a woman with a heart for her community and tirelessly supports young women, families, Bakersfield and BC. Norma is on the BC Foundation Board of Directors and spent countless hours volunteering for Measure J, even co-chairing the Steering Committee. Mayor Karen Goh stopped by to take a picture with the BC Team. Thank you Mayor Goh for your support of Bakersfield College. A special thank you to our Mayor, Karen Goh for the fabulous pictures. Personalized handwritten notes are growing rarer by the day because of instant communication, text messages, emails, etc… so it’s always an extra special treat to see one on my desk. I loved seeing this one from Diana Marroquin who shared how much she enjoys “listening and seeing the wonderful young adults who perform in the BC Band, as well as the Golden Empire Drum and Bugle Corp.” The small note reminded me that I really am the luckiest and happiest college president ever. It is a gift to be surrounded by so many talented and truly gifted students, faculty, staff, colleagues, friends, and the most incredible community – Bakersfield. If you haven’t heard the BC Band, the Golden Empire Drum & Bugle Corp, or seen a BC Performing Arts program, make plans this Fall to visit campus… you won’t regret it! Coming soon during July 31st to August 3rd, BC is hosting the Fundamentals Skills Camp for girls aged 12-18. Last year’s camp was a great success and the BC team is looking forward to another great event! Coach Paula Dahl is in her 24th year at BC. She played basketball at Northern Arizona University, received her BC from BYU and her MA from SDSU in Sports Psychology. She is passionate about coaching and helping athletes see the “possibilities” both on and off the floor. The skills camp brochure/registration form is available on GoGades.com. Delanonow.com featured the Culinary Arts Academy that I mentioned in my blog two weeks ago on July 8th. Bakersfield College has a wonderful partnership with Delano Joint Union High School District (DJUHSD). Thank you Superintendent Terri Nuckols for all that you do and it is such a pleasure working with you to offer joint programming for our students in the Delano community. Loved this quote in the article by April Gregerson. “We are elated to partner with Bakersfield College and the DJUHSD to offer this unique summer academy to our middle school students,” said April Gregerson, Assistant Superintendent DUESD. Extra photos are displayed alongside the wonderful ones submitted by Leticia Garza. Check it out now at Delanonow.com! Thank you to John Farrand for the incredible photos featuring BC performing arts in the first BC musical in about 20 years! And thank you to all who came out to support the talented BC Performing Arts department! I loved seeing this photo on Instagram. Are you following BC on Social Media? Check out all the photos from “Into the Woods” by John at BC’s Smugmug page! Did you know two of the five actresses in the STARS Theater’s local production of “SHOUT! The Mod Musical” are Bakersfield College students? Can you tell why I’m the happiest and luckiest college president in the world? I am continually overjoyed, amazed, and inspired by our Renegades. In the program for the ’60s jukebox musical, which runs its last weekend of shows July 27-29th, Carly Mattern is listed as a BC student studying nursing, and Madeline Engel has been featured in this blog previously for her performances in the BC Choir. It’s awesome to see BC students out in the community being their best selves. Will you see the show? Or maybe you’ve already seen it? Check out the fun video clip here where both ladies can be seen. They are identifiable by their orange (Madeline) or red dress (Carly). And thank you Jerry Ludeke for your email bragging about our students. Diego Gutierrez Monterrubio, BC Adjunct was highlighted by The Bakersfield Californian this week for his new apparel line with VIDA design collaborative out of San Francisco. The article talks about how inspiration began with his mother, Rita Monterrubio, “who has been a dress designer for more than 50 years” and the article describes his line as “sporty and fun and appropriate for all ages.” It’s a great read by author, Stefani Dias. 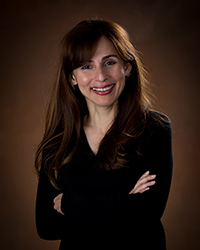 Thank you to The Bakersfield Californian for highlighting one of our talented BC faculty! And for more on Diego’s artwork, visit diegomonterrubio.weebly.com. Rick Kreiser visits Downtown Rotary, July 20, 2017. Jennifer Marden snapped these two pictures at Trader Joes with Janet Tarjan and Vandana Kohli. I was happy to see the picture of Vandana Kohli who is a Dean at CSUB. Great collaborations and friendships between the two schools. Neo celebrated his 4-month birthday on July 17th getting ready for his last set of shots on July 19th — Distemper and Rabies. He is now 40 lbs, and plenty of energy. You can see him develop in these photos taken at the vet’s office – a picture at 19 lbs (2nd set of shots); at 30 lbs (3rd set of shots); and now at 40 lbs (4th set of shots). Any guesses on his weight when fully grown? He also loves sitting half-inside-half-outside without concern for the air conditioning bill. ← Registration is Rockin’ at Bakersfield College! Great to read about the STEM A-PLUS work headed by Dr Wayne Cooper. He’s the best teacher in the Physical Science Dept and definitely in the top ten overall at BC. What beautiful penmanship to go with the beautiful note from Diana Marroquin. Thnx for the comment Nick. We have a great science department and we are adding to it this year. Good times at BC. #WeAreBC!